Breast cancer or any cancer can strike the closest and dearest to us people. We never know when, who, how, why. What we do know is that supporting the awareness and prevention tips for such diseases is a very important thing that we can do. One of the tips for this month and beyond is our monthly breast self-exams. They take only a minute or so, yet can and do save lives. Let’s commit to this one-minute every month for the rest of our lives. Please hop onto our amazingly profound in gifts and messaging Giveaway Train and enjoy this hop! 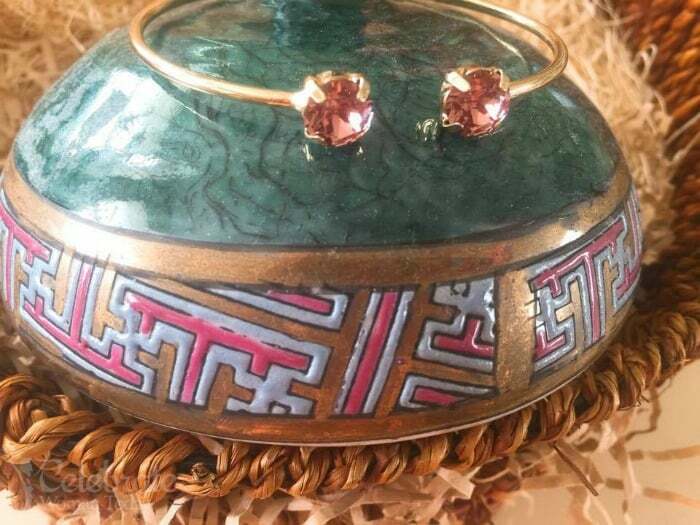 Claudia is behind some of the most unique-looking and customized to your occasion personal jewelry. Inspired by her grandmother’s locket with a tiny picture of her grandfather inside, Claudia started her company as a token of childhood memories where jewelry could become something to remember people by and always be with them in thoughts, prayers, and memories. Each bracelet, ear-ring, necklace is crafted by the people who are passionate about what they do. 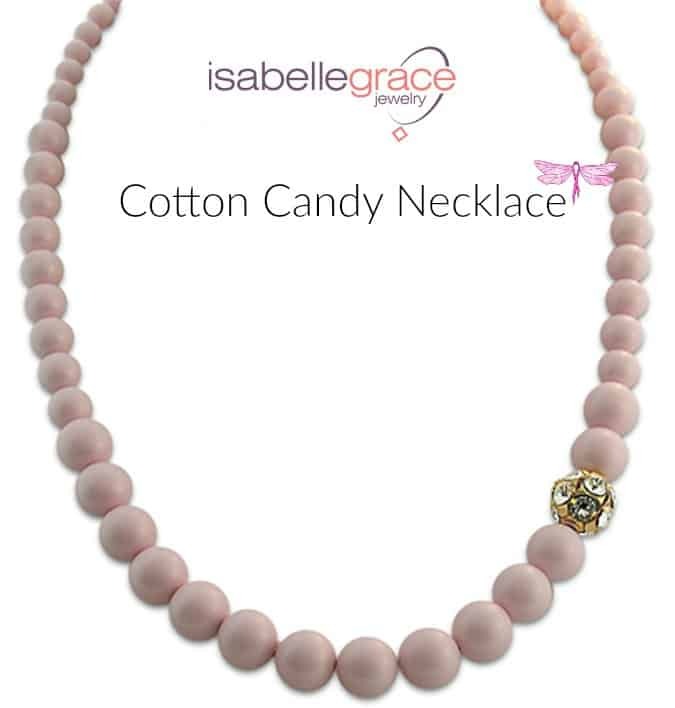 If you choose to go with Isabelle Grace Jewelry gift – you will forever be a happy admirer of their craftsmanship. 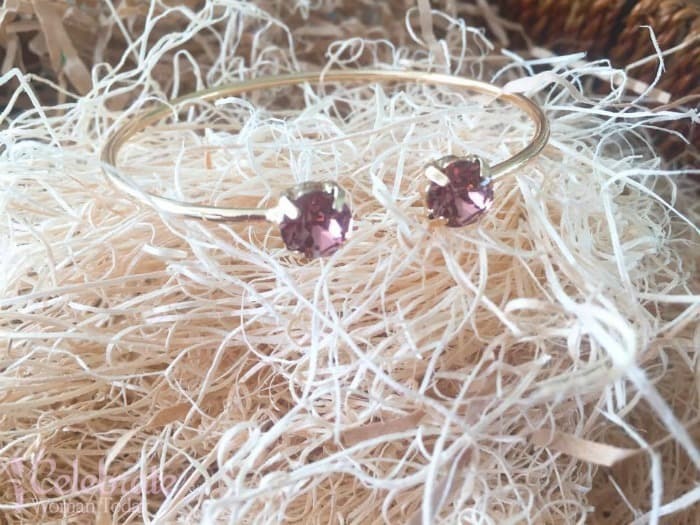 Pink Gemstone Cuff Your Daughter Would Love! 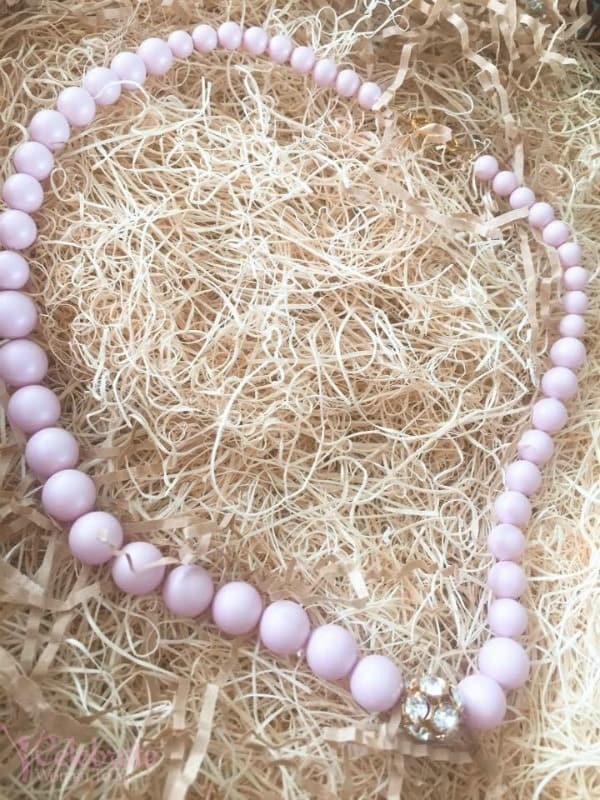 We would love to offer you to win this out-of-this world pearl necklace. Pink is a color of a girl power. It is in-fashion any time of the year. In October, we extend this color-power to support breast cancer awareness and research to eradicate cancer and find a cure. 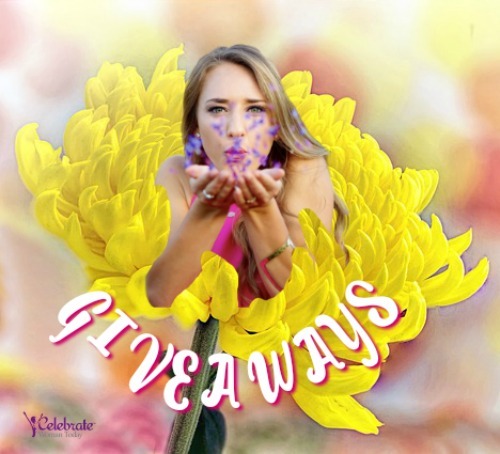 Once you’ve entered my giveaway – hop to the other phenomenal prizes any woman would love to have in her life! Love Disney MOANA? We've Got COLORING SHEETS for You And Your Kids! I would give this to my friend Sue going through chemo- the bravest gal I know. I would wear this beautiful necklace! I would give it to a friend who has beat breast cancer. Either I’ll keep it or give it as a gift. My mother in law would probably love it! I would give this to my mother. This would be amazing to own for myself! I’d love to wear this and support Breast Cancer Awareness! A good friend of mine would love this. I will wear this necklace. This would go to Sue, a friend who is currently battling breast cancer she would like this. I would give this to my mother who would love it! I could also borrow it anytime i wanted too. I would share between me and my daughters in memory of my mom. I would wear it to honor one of my close friends. My granddaughters would wear this. They love pearls. I’ll wear the necklace. Thanks for the chance. I think my best friend would love it. This Necklace will be worn by my Great Niece Sherri. She is a Breast Cancer Survivor . She lost her Sweet Mom from Breast Cancer . Sherri was helping her Mom with Her Breast Cancer Battle and she got Diagnosed when she was helping her Mom! Such a Sad situation. Sherri Deserves to wear this necklace for her courage and strength. For sure this would go to Sue, She is going through chemo now for breast cancer. She is beautiful like this is. My daughter would be the one to wear this beautiful necklace. I would give this beautiful necklace to my mom. I would give this as a present to my oldest daughter. She works really hard as a nurse and I know she would love it. My beautiful daughter would wear this necklace. My aunt would wear this. A 5 year survivor. I would love to give this to my friend, Shannon. I would love to wear this beauty! I would wear it everyday to support Breast Cancer Awareness year round! This necklace will be a gift to my sister who it would suit wonderfully. Great giveaway! I would wear it proudly to honor breast cancer awareness and to honor all the women in my family who have passed from Breast Cancer and to the Women in our Family whom have survived and continue to fight Breast cancer. I would give this to my friend Sue who is battling breast cancer she would love it. I would give this to my mom so that she can wear it! I want it for myself its so pretty love to wear one. I think it’s beautiful! I’d share with my daughter. 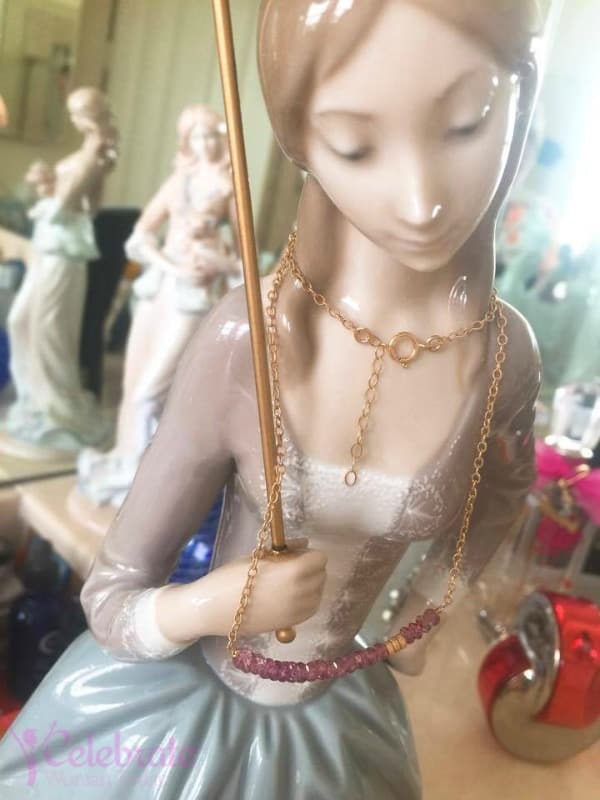 My mother is very much into pearls. She would love it. I will give this to my granddaughter to wear. I will give it to my aunt. I will wear it in remembrance of my grandmother. I might keep it. Or I might give it to my mother in law. I would wear this beautiful necklace. I would give this to my friend Sue to remind her how strong she is and although the fight is hard, llife is good. I would love to have this to wear myself! So very pretty in the pink! This would go to my friend Sue the bravest woman I know. She hurts and still makes you smile. I would love this for my mom. I would love to wear this beautiful necklace. I think I would give it to my inspiring friend. I would give this to my mom because she is a breast cancer survivor! This wouldd go to my friend Sue the bravest person I know. Five times with cancer, the latest breast cancer and she still is smiling. 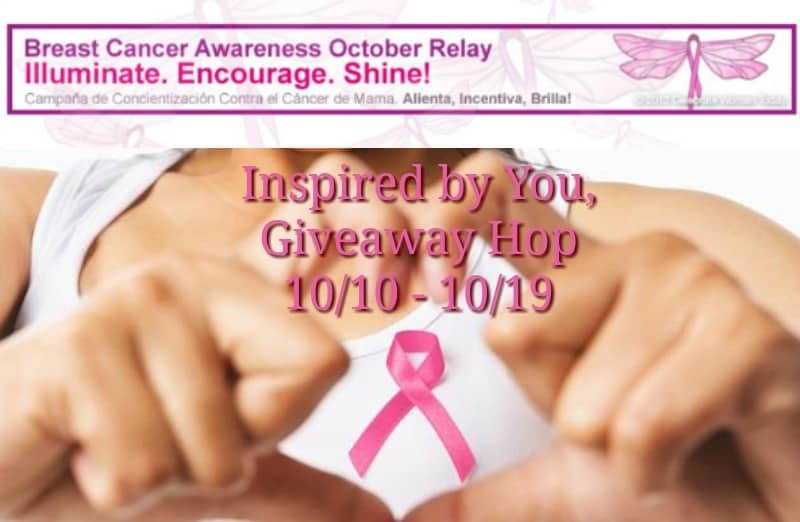 I will be wearing this necklace in memory of ones I’ve lost from breast cancer. I love this necklace and would it to work, parties etc! I love the vintage look and vibe. I would keep this and wear it myself — beautiful! These are so beautiful I’d love to have all of them! Well, there are three girls in the house so I know we will all take turns. My friend Sue would wear this, she is survivor and fighting! She would love it. I too am a cancer fighter – Multiple Myeloma. It’s not breast cancer, but it’s cancer just the same! Shannon would still receive this pink beauty! Agreed with you – any cancer is a huge fight, and it doesn’t matter where it is. Hugs to you, our awesome. Let us know how we can all support you. I have 4 daughters & 15 grandkids. 11 which are girls. I always preached to them about self examinations and I even have a plastic plaque hanging up in the shower on how to do it. I also insisted on Pap smears. These things are so important! The earlier cancer is detected the better the survival rate. Even before I knew that I had cancer, I was a huge supporter of Breast and cervical cancer, etc. I wanted to mention my cancer, because there are so many different ones and even though the cancer that I have can be found in blood tests, doctors have to know what they are looking for! It took specialists 2 years to find my cancer. I wouldn’t want anyone to go through what I did!! There isn’t any cure for this cancer. People have lived a long time with it with the proper treatments. I don’t want to go through all the treatments I went through. I just wanted to inform everyone to heed the messages your body is sending you! And that doctors are human too & they do make mistakes!! But you shouldn’t have to pay for them!! I have a great support system in my family, friends & church. Thank you for your heartfelt offer! It means a lot to me! My faith in God has really sustained me during this ordeal! I am very thankful for everything HE has given me!! I’d give this to my niece Anni for Christmas. I would give this necklace to my daughter. She would just love it. 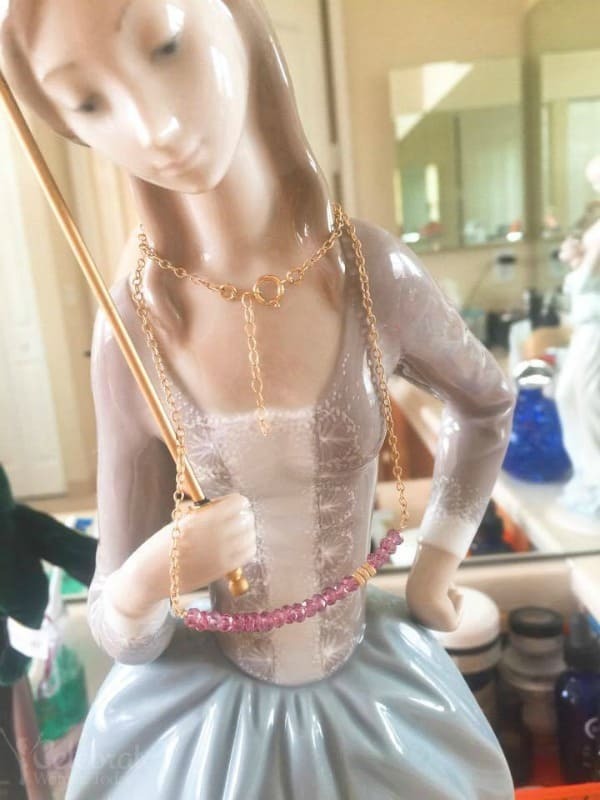 Her favorite color is pink…. I would wear this pretty necklace. I would keep the necklace and wear it myself. Thanks. This would be worn by Sue, she is always smiling and doing better and still fighting breast cancer. I will wear this in honor of my Mother!! I’d give it to my grandmother. She’d love it! I was going to wear this for the lost of my mother who died of cancer but I am going to give this to someone I know who just found out her cancer has returned.. I will wear this beautiful necklace myself. I would be honored to wear it. It is lovely. OMG! I #love this necklace! I would LOVE it! I would wear this in honor of my mom who passed away with breast cancer six years ago. I will wear this lovely necklace! 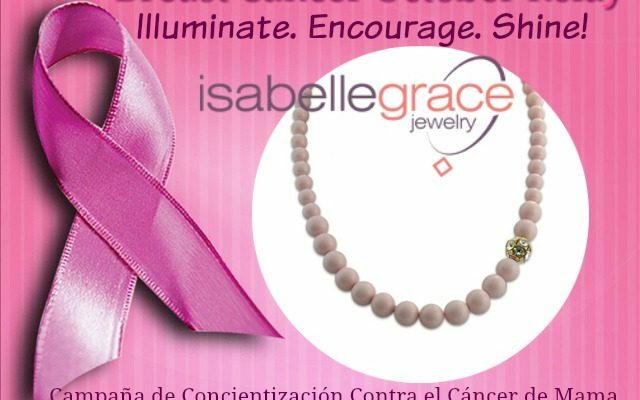 What a lovely way to honor and support breast cancer awareness month. I would share this with my daughters. I would love to wear this necklace in memory of my grandmother. I would give this to my friend, Shannon who just had her 6 month checkup & passed! While she was sick, she still tried to help people who needed her! I’d love to do something for her!! I would wear it in memory of my mom and to help support my aunt. I will share it with dd – we will take turns wearing it! My friend Sue who just had a double mastectomy would be wearing iit. I think I would gift it to a friend if I were to win. I would wear for sure. It’s important to try to stay positive and pretty and feminine during treatment. This necklace is the latter two..
My granddaughter would wear this. There is a lady at our church that has breast cancer and just sees no hope in sight. I would give this to her just to say I care. My Mother is a breast cancer survivor. My mothers sister died with breast cancer. My sisters and I will take turns wearing this lovely necklace. Thanks for the giveaway. I would be pleased to wear this necklace! 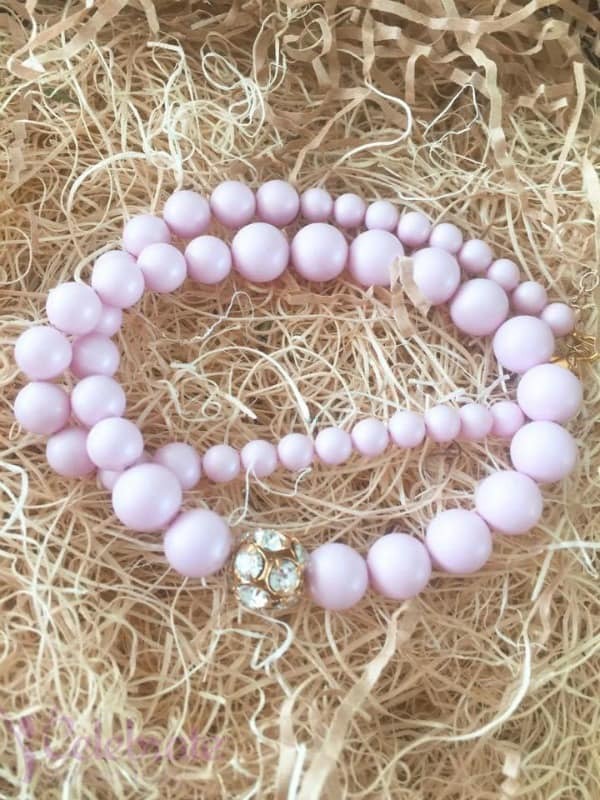 I would give this great breast cancer awareness jewelry to my good friend Dar, her sister was diagnosed a couple of years ago. I would give it to my mom for christmas! One of my best friends who fought breast cancer around this time last year. 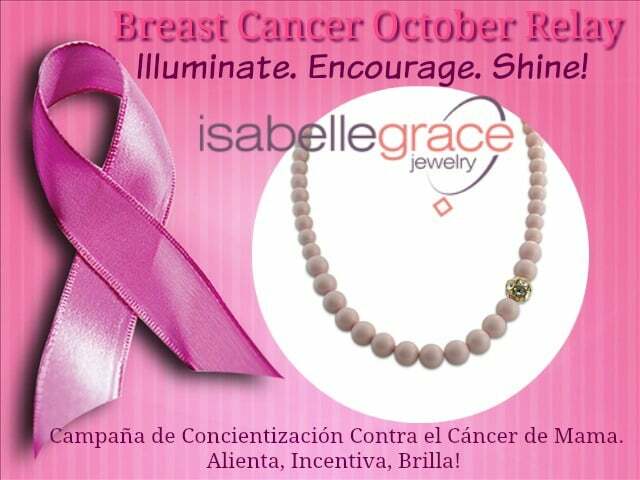 I will be wearing this Pink Pearl Necklace by Isabelle Grace Jewelry. My friend Sue will be given this, she just had a double mastectomy. She is a fighter. Hugs and love to your friend Sue. She is a Fighter. She is our inspiration. Thank you, sweetie, for sharing it.